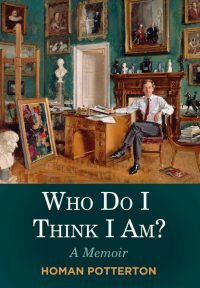 When Homan Potterton was appointed Director of the National Gallery of Ireland in 1979 at the age of thirty-three, he was the youngest-ever Director since the foundation of the Gallery in 1854.
Who Do I Think I Am? is the sequel to the author’s best-selling childhood memoir Rathcormick: A Childhood Recalled. Written in a witty and amusing style, Homan Potterton regales the reader with tales of student days at Trinity, Dublin and Edinburgh University, summer jobs in London, carefree travel in Europe, and his unexpected journey to the director’s office of the National Gallery of Ireland, after his first museum job in the National Gallery, London. 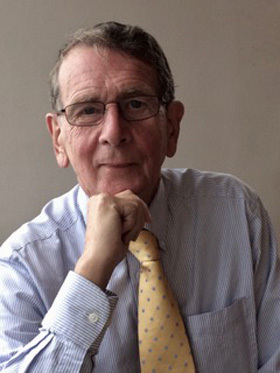 With a keen interest in people, an observant eye and a spry humour, Potterton describes the many characters and leading lights of Dublin and London society that he encountered during his rich and varied career, including Anthony Blunt, Michael Levey, Denis Mahon, Derek Hill, James White, Françoise Henry and Charles Haughey. Befriending Sir Alfred and Clementine Beit, he helped secure the famous Beit Collection for the Irish nation, and, in a dramatic episode, he describes how he worked with Gardaí to recover the Beit paintings stolen from Russborough House by Martin Cahill in 1986. In a shock resignation, Potterton left the National Gallery of Ireland after only eight years. Thirty years on, Who Do I Think I Am? is his charming and candid memoir; a beautifully rendered, acutely descriptive impression of the art worlds of Dublin and London in the years 1970-1990. 300pp. ISBN: 9781785371509. Hardback $21.99. Published by Merrion Press 2017. Available from bookshops in Ireland and the UK.